Digital Integration as a Service (DIaaS) is being conceptualized as a hybrid platform for integration of everything from businesses and applications to Cloud and Things. There are also plans to provide cognitive integration using chatbots. It currently has a capability to onboard trading partners along with managed file transfer capabilities. It will also have a capability for integrated DevOps. The key attractions of this platform are an industry-specific API marketplace, a capability to automatically fix common integration errors and a pluggable integration runtime engine. The API marketplace is built on top of WSO2 API Manager and uses WSO2 Identity Manager for authentication. DIaaS talks to WSO2 API Manager using the APIs provided by it. Open Banking APIs are currently available in the API marketplace. These come complete with implementation logic built in. Work for building retail domain APIs is underway and there are plans to include telecom domain APIs. The self-healing framework that is part of the solution provides a capability to fix commonly occurring integration errors. It is extensible as it includes an ability to add new 'œheals' for issues. The integration engine is pluggable and can be interchanged as there is an abstraction layer built on top of it. Danesh has over twenty years of experience in the software industry with more than ten years in enterprise integration including API development, open source middleware, integration Platforms as a Service (iPaaS) and SOA. His expertise includes consulting, architecture, presales, implementation, and marketing. Danesh has presented webinars and has published white papers on enterprise integration and architecture. He has also been acknowledged as an inventor in the design of an Enterprise Integration Framework. 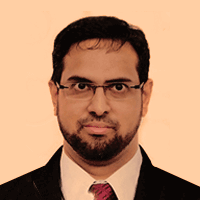 Danesh is currently responsible for thought leadership, marketing and conceptualization of solutions. In his free time, Danesh enjoys reading books across genres.